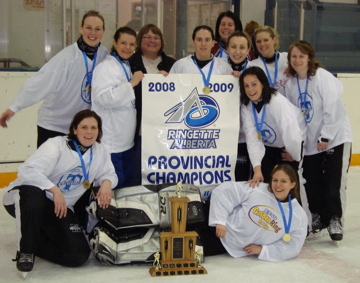 The Don Henderson Memorial Ringette Scholarship was awarded to Jamie Billinton for the 2008/09 Academic year. 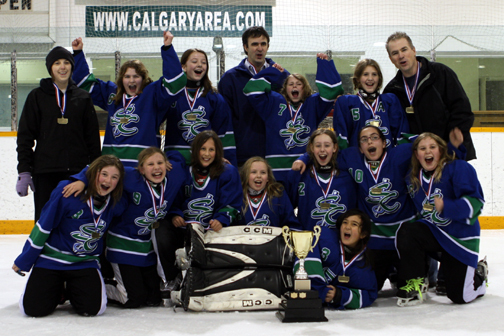 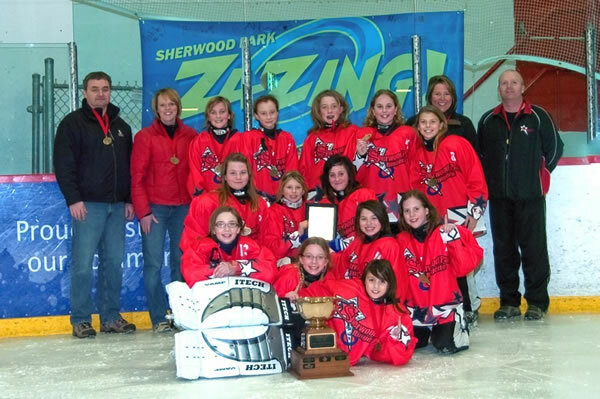 Ringette Calgary elected to not participate in the SARL league and instead offered to incorporate Zone 1/2 teams into the Ringette Calgary League where possible. 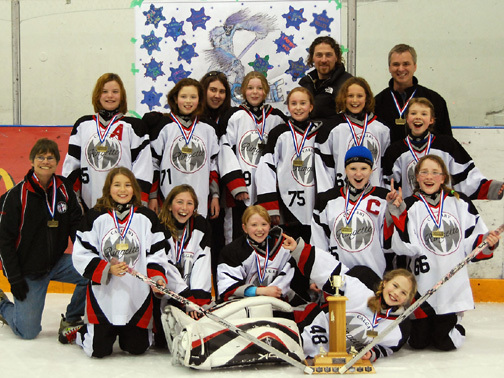 Yearend Bunny and Novice tournaments were held. 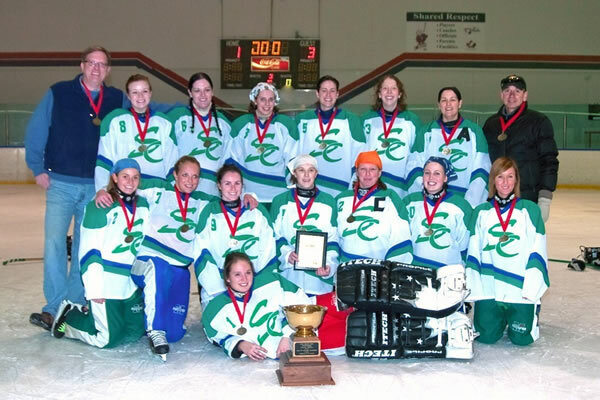 It became mandatory for coaches to wear certified helmets during all practices. 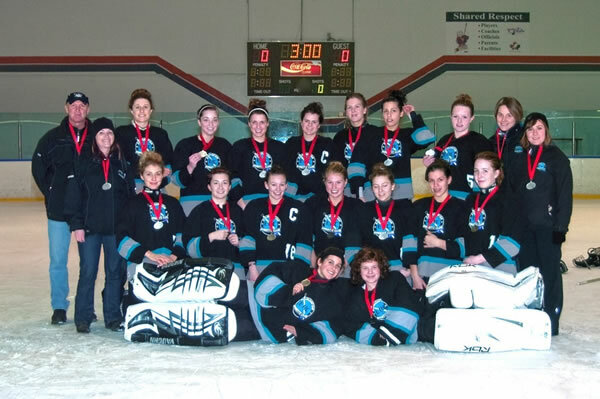 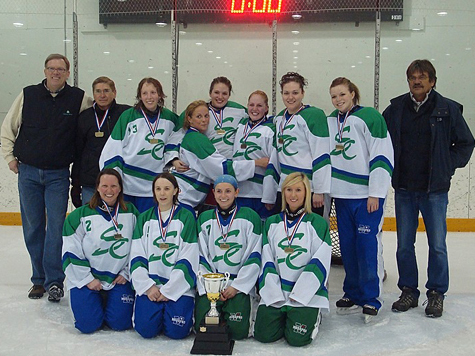 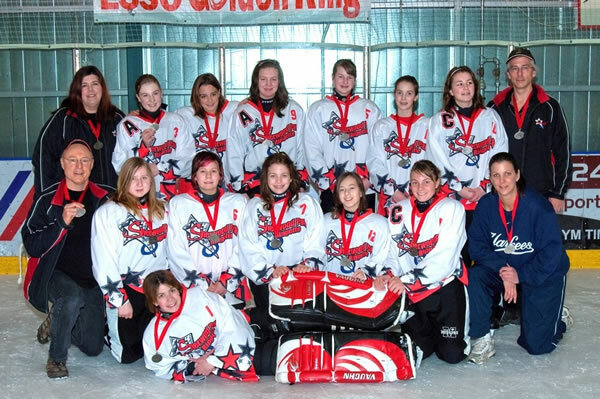 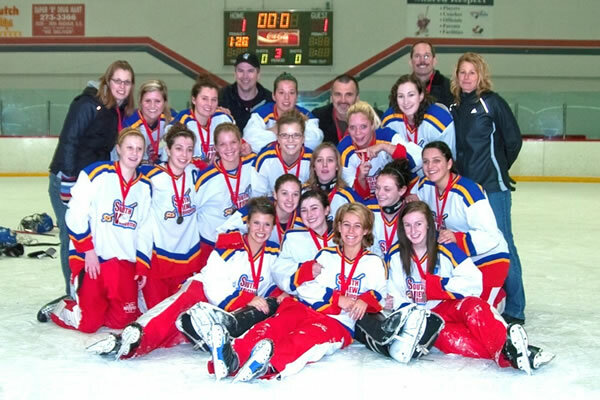 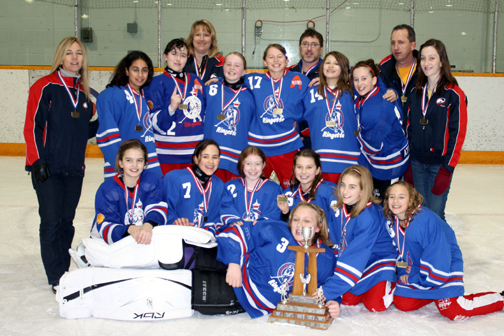 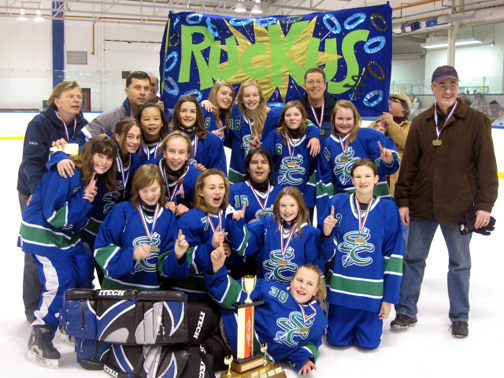 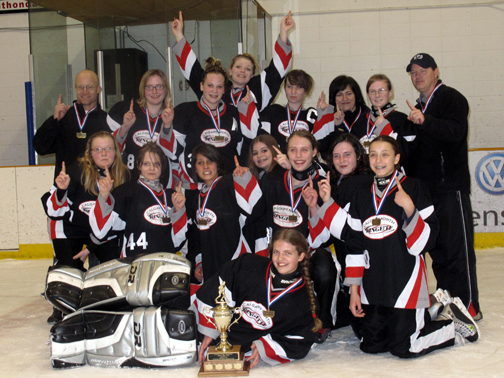 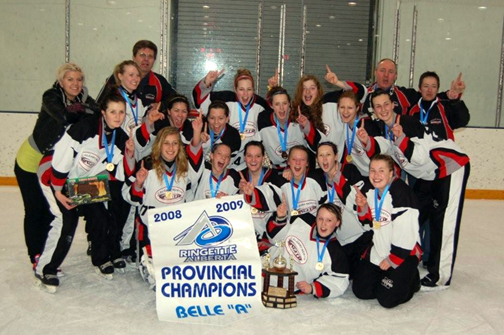 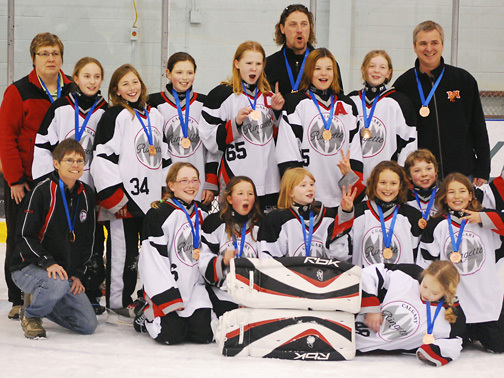 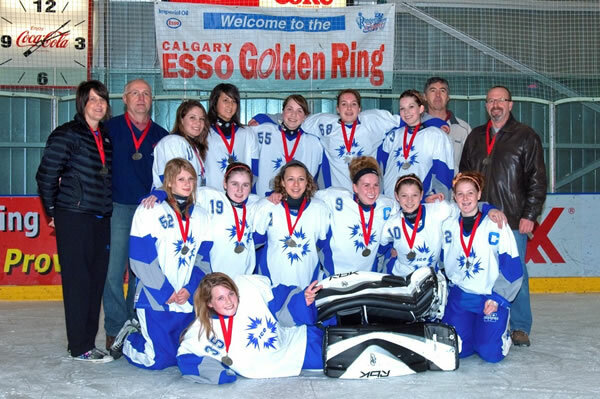 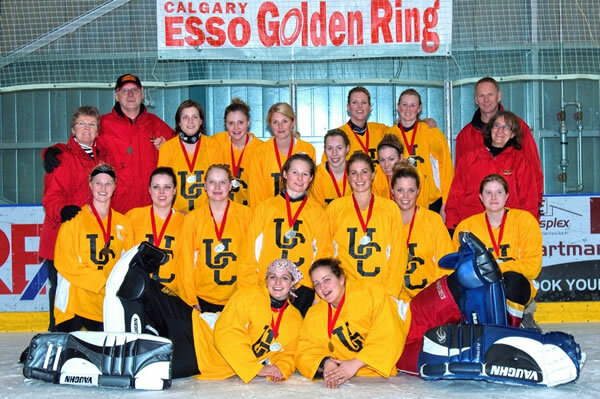 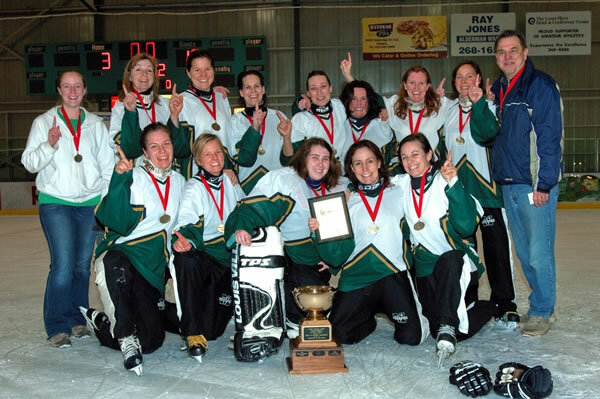 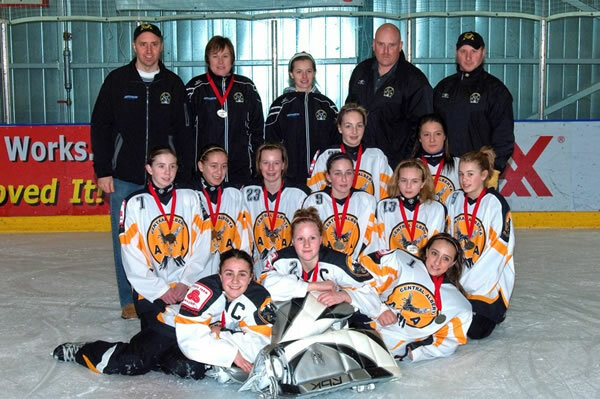 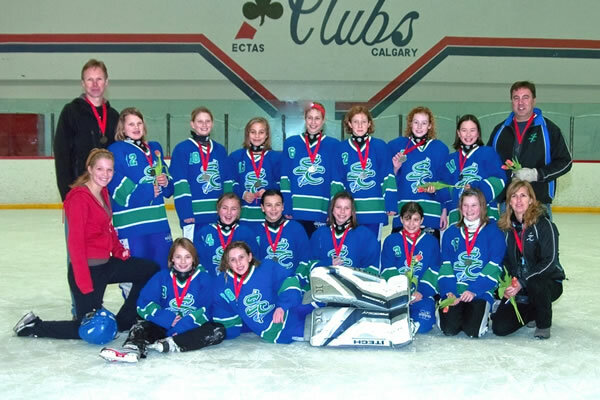 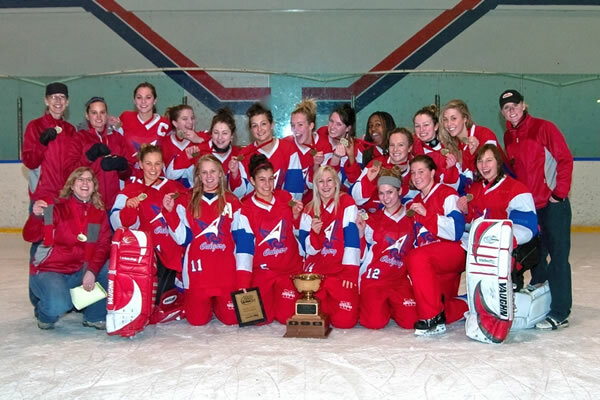 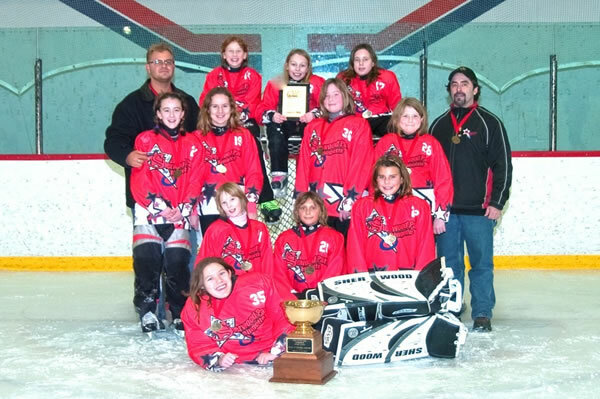 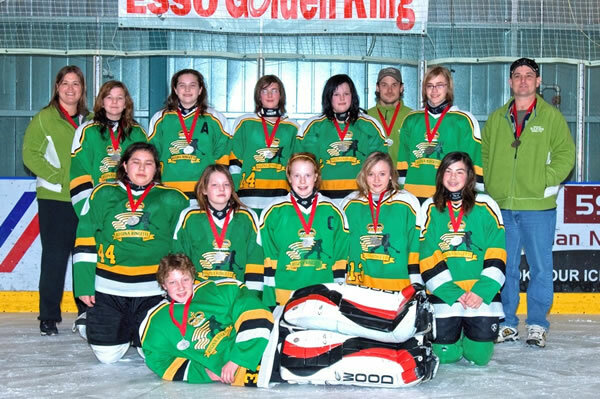 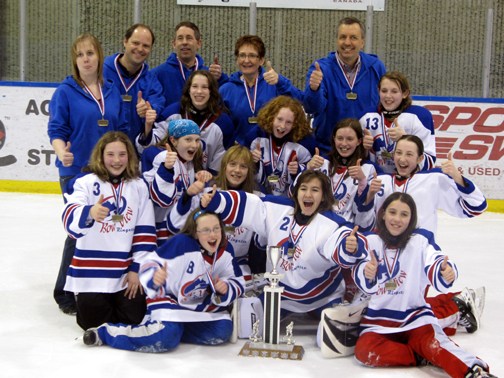 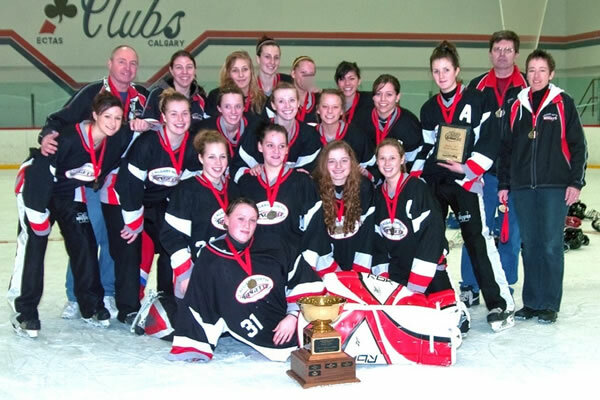 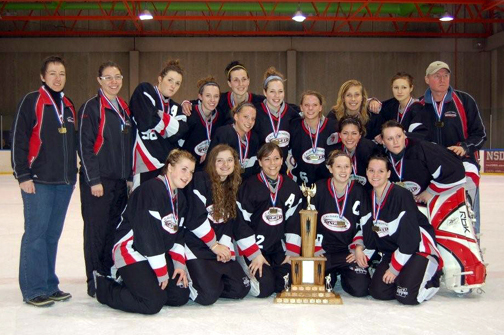 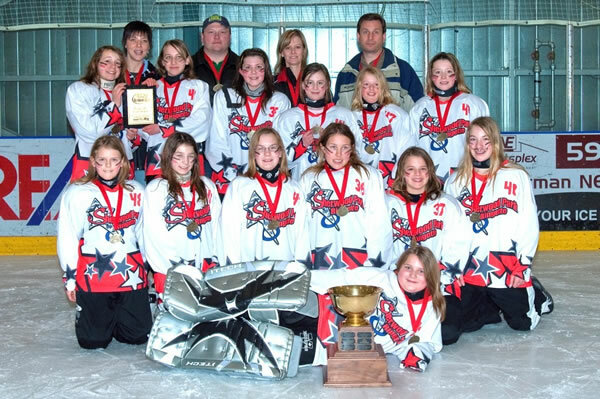 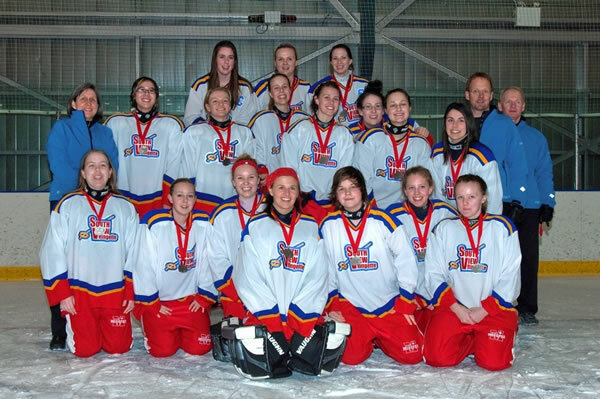 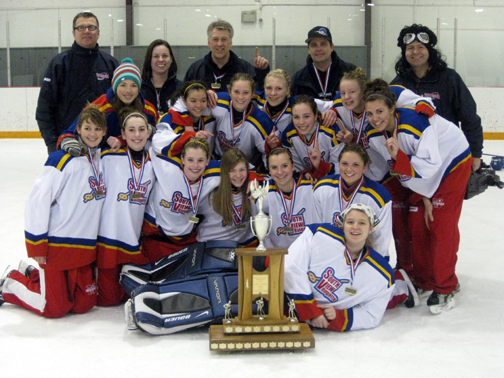 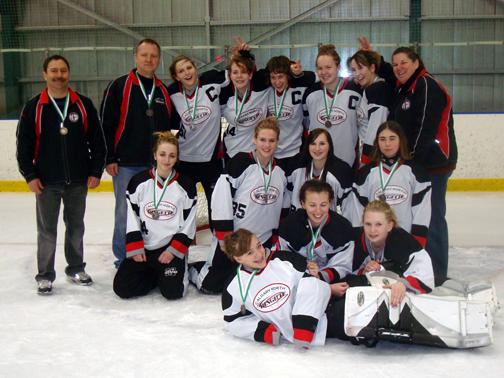 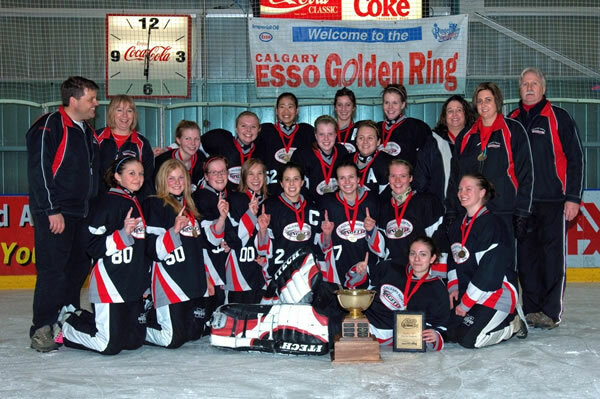 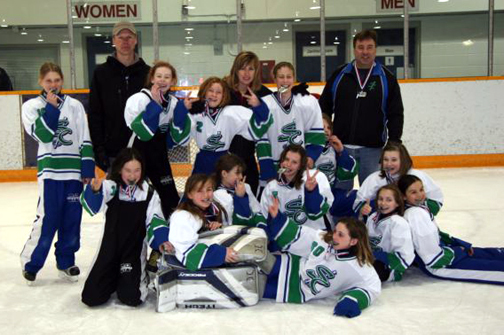 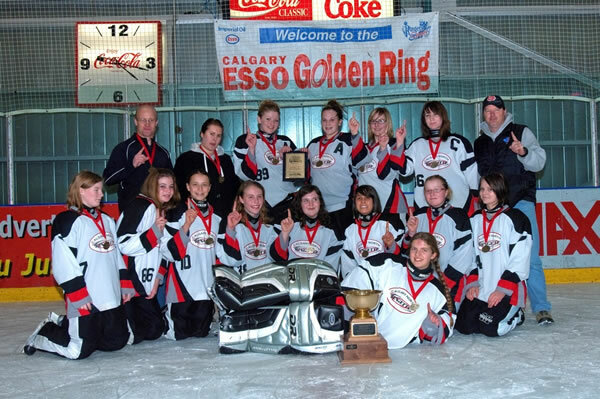 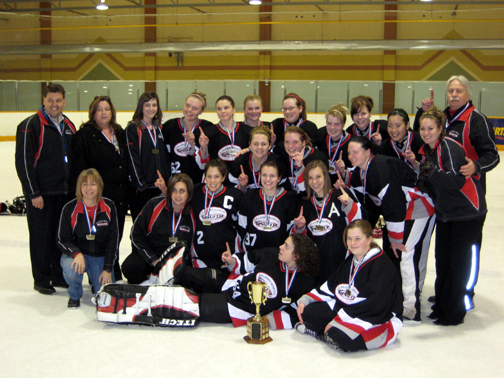 Alberta cleaned up at the 2009 Western Canadian Ringette Championships in Saskatoon. 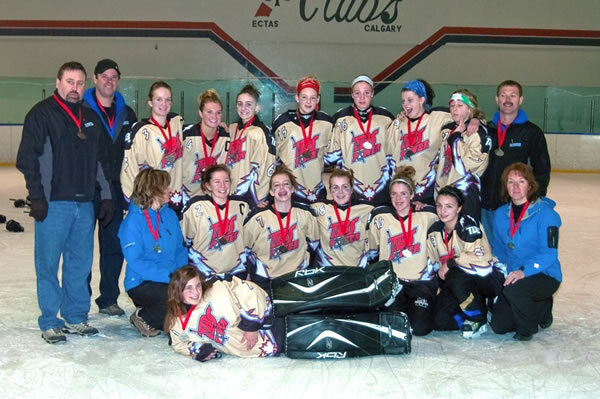 Alberta won gold at Tween AA, Jr A and Belle A. 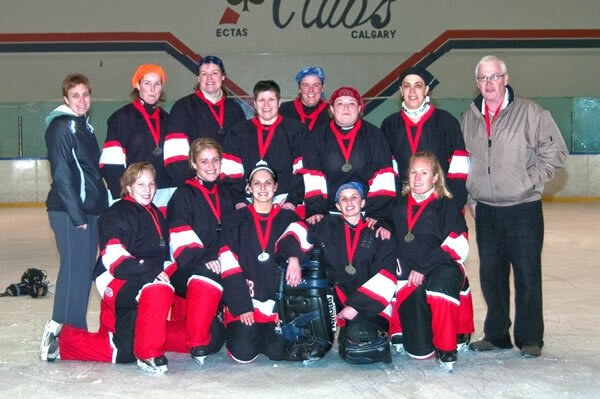 The AB Open team won silver. 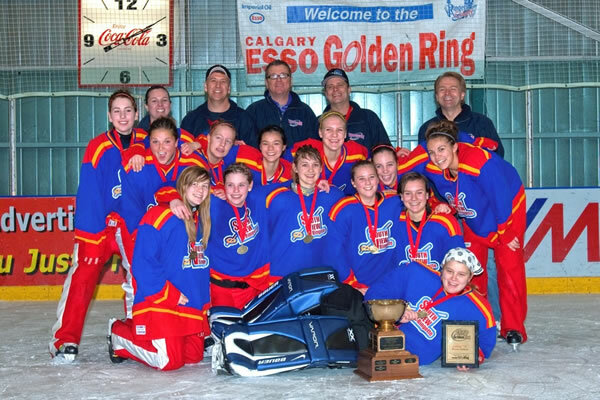 The Tween AA team (Elite), the Belle A team (Calgary N. Fortius) and the Open A team (U of C) are all Calgary teams. 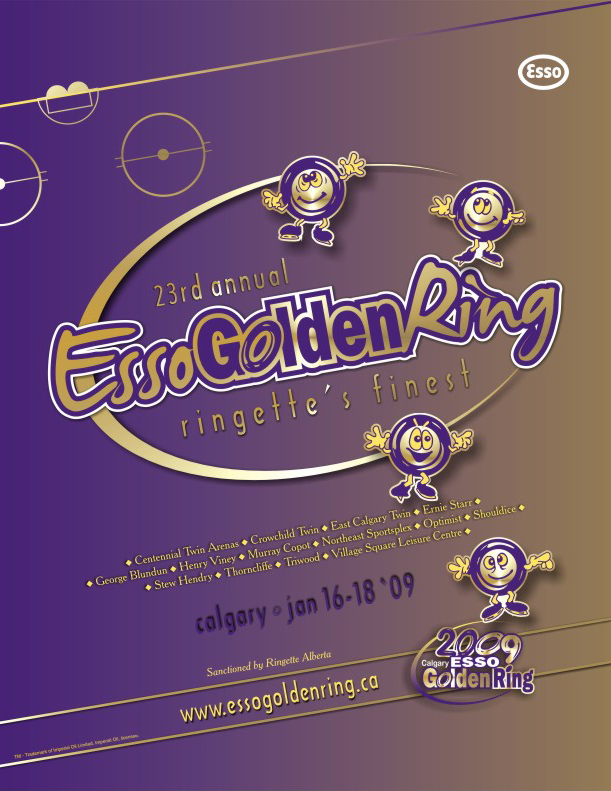 The 24th annual Esso Golden Ring was held January 16-18, 2009 and hosted Bunny through Open divisions. 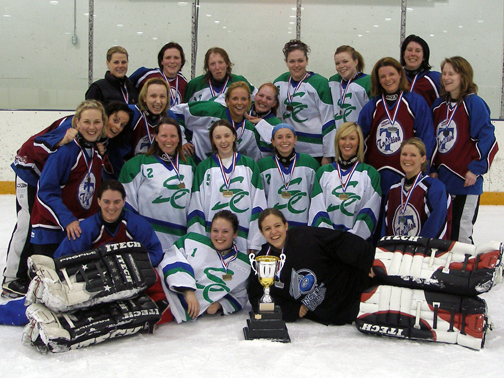 There were teams in 18 different divisions. 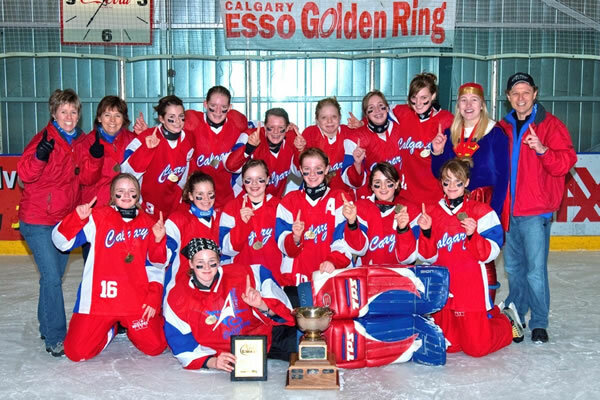 We hosted 185 teams in 18 divisions - in addition to the 94 Calgary teams there were 64 teams from other parts of Alberta, and 26 out of province teams. 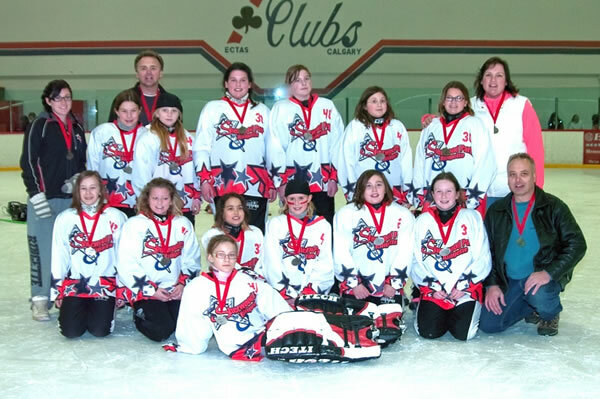 There were 355 Games on 483 hours of ice. 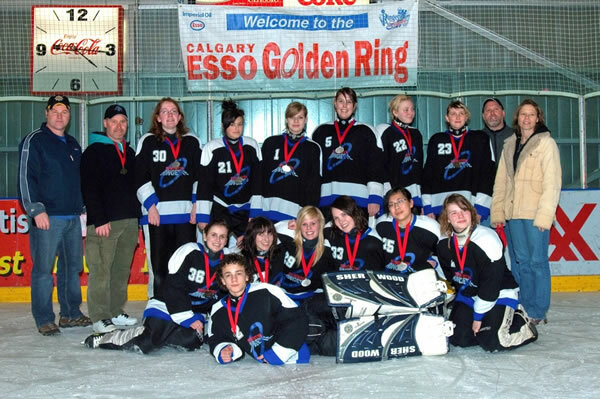 The ice bill was $65,000.00. 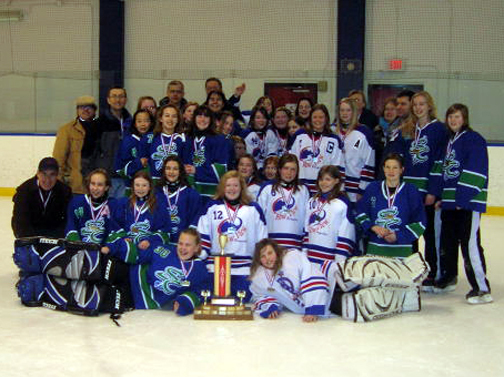 There were 85 on-ice officials refereeing tournament games. 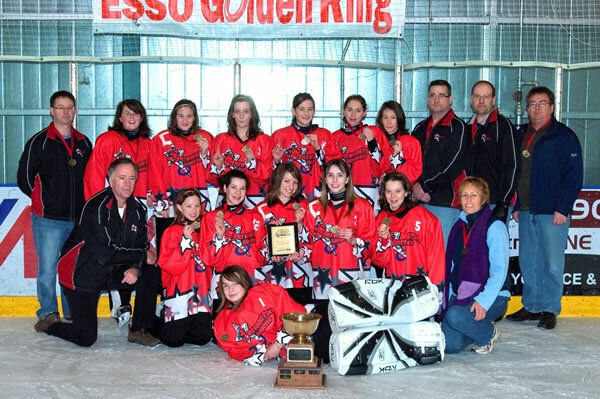 Referee game fees for the tournament total $17,725. 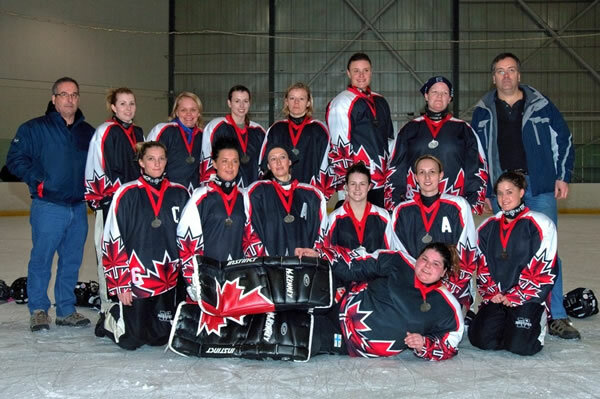 The cost of "importing" referees and transporting them is an additional $5000. 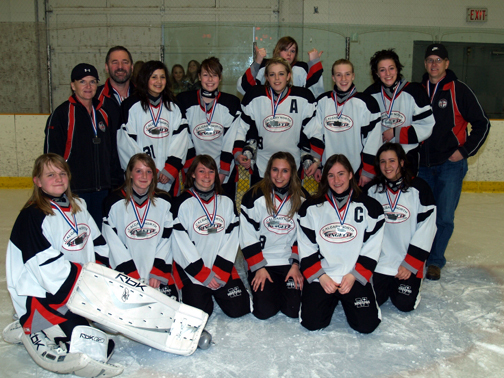 Plus, hotel rooms are provided free of charge to all out of town officials. 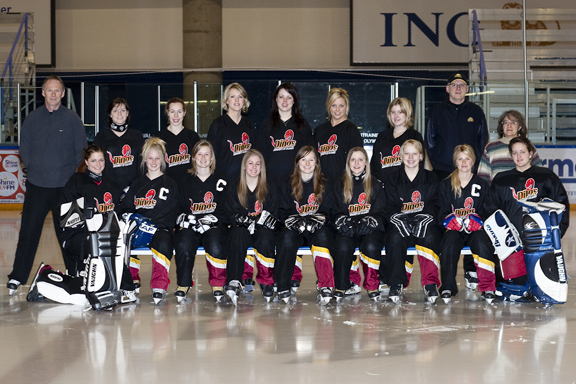 Transportation is also provided to out of town officials to all of their games through volunteer drivers. 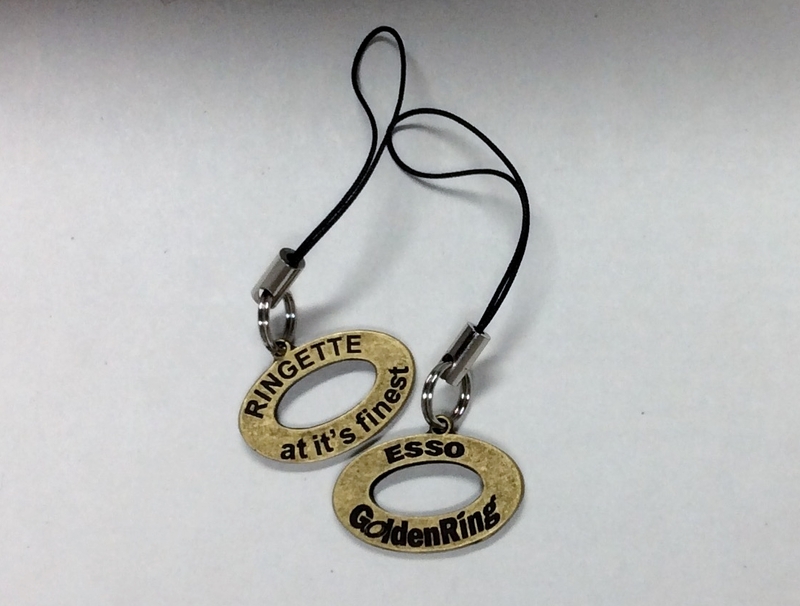 Participants in the 2009 Esso Golden Ring received a lapel pin, a souvenir poster, a pen and a cell phone charm. 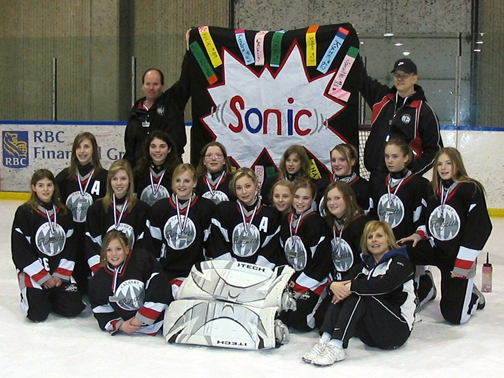 In addition, coaches packages contained misc. 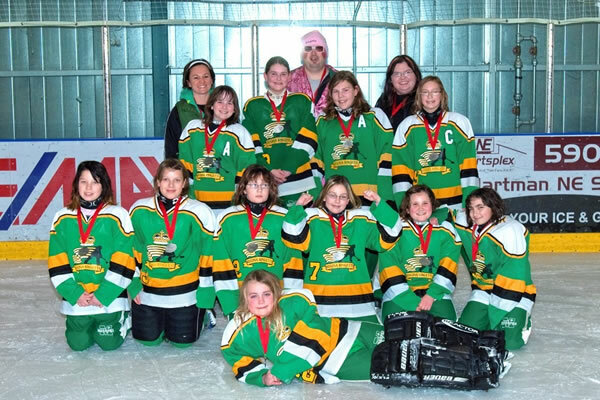 coupons, chips, and donated items. 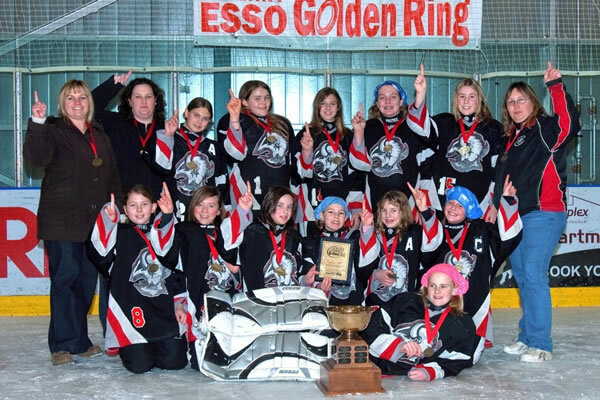 Committee members accumulated 470 draw prizes for players, including 185 custom Esso Golden Ring practise jerseys so every team received 3 draw prizes. 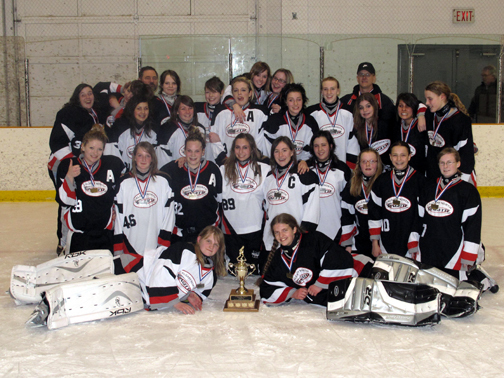 The Hospitality Night was a big hit again this year at Cardel Place with over 500 attending. 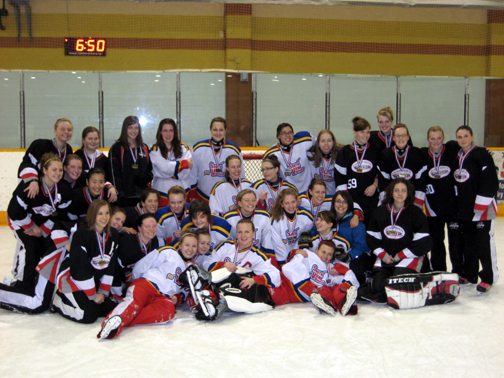 Treats included hot dogs, baby carrots, beverages and lots of fun. 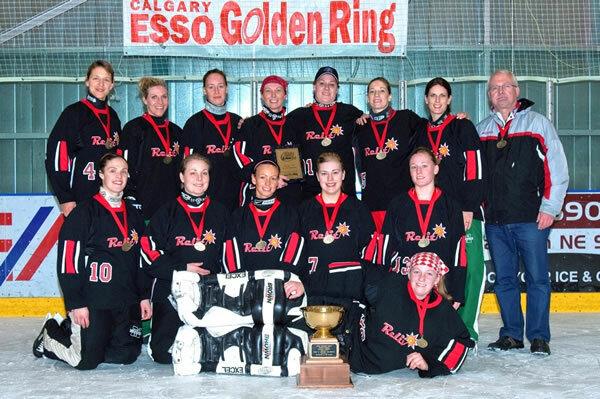 Committee Members accumulated $7213 worth of donated prizes for the Esso Golden Ring Raffle (all $10,000 tickets were sold thanks to Calgary teams). 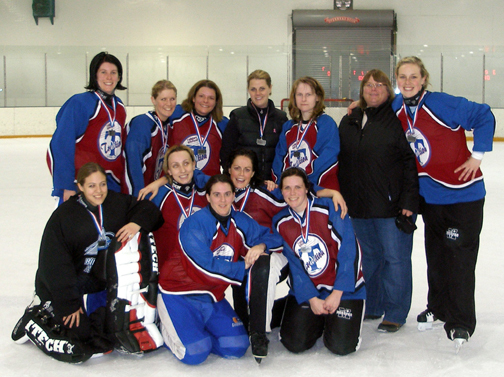 The EGRT again hosted NRL regular season league games at the Open AA level.